My friend Audrey gave this to me many years ago, and it has become a staple on our thanksgiving table ever since. It just wouldn’t be Thanksgiving without it. It is a favorite in our family. Can be doubled easily, just make sure your baking dish is large enough. 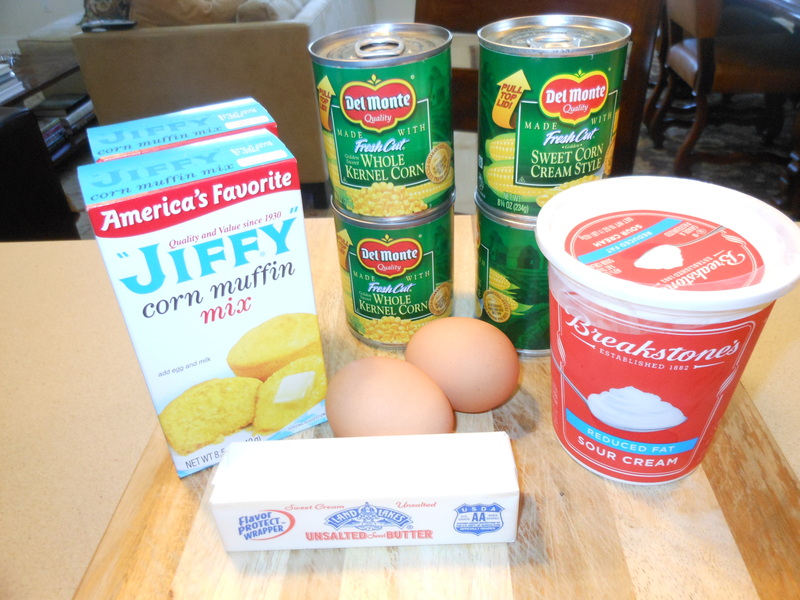 Melt butter, mix in beaten eggs, then add the rest of the ingredients. Pour into glass baking dish (Pyrex is good and I spray it first.) 9 x 12 works fine, it’s not a very deep pudding. My friend Audrey gave this to me many years ago, and it has become a staple on our thanksgiving table ever since. It just wouldn’t be Thanksgiving without it. It is a favorite in the Kolen household. Can be doubled easily. My friend Audrey gave this to me many years ago, and it has become a staple on our thanksgiving table ever since. It just wouldn’t be Thanksgiving without it. It is a favorite in the Kolen household. Can be doubled easily just will need to cook a little longer. 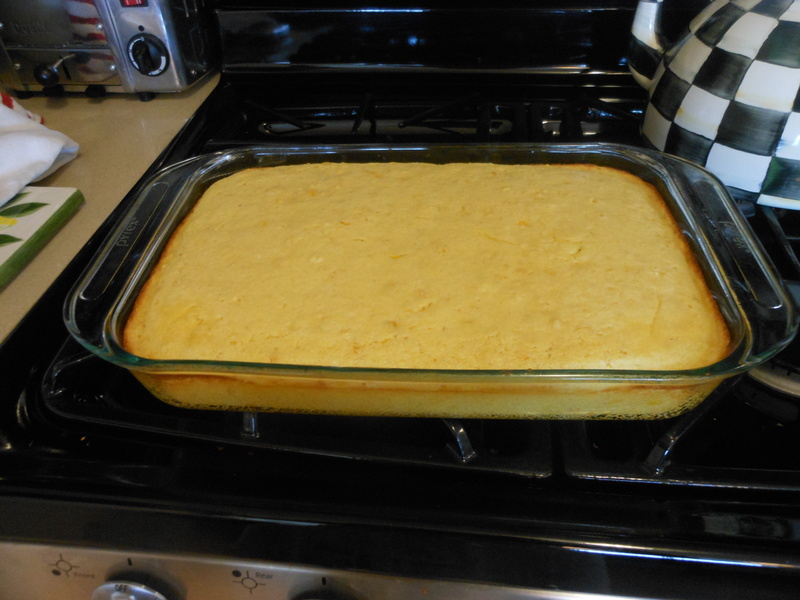 I cooked my double corn bread pudding for at least 45 minutes and sometimes a little longer. You’ll want to press down on the middle and make sure that it’s not too soft. If outside edges start to burn put a piece of aluminum foil over it if it’s not done. Usually another 10 – 15 minutes will work on a doubled recipe and it should look like picture. Outside edges will brown a slight bit. *I really do think this recipe comes out best not doubled, you’d almost be best off finding a larger baking dish or using 2 9×12 dishes. You will not have the issue of it being too soft if it is in a larger baking dish or 2 9×12 baking dishes. Bake at 350 degrees for 35 minutes for single recipe and double recipe will probably cook for another 10 – 15 minutes. You’ll want middle to spring back to the touch and not be too mushy.